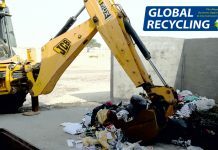 A new European digital trading platform for waste and secondary raw materials makes it easier to divert waste from landfill and incineration to recycling, at a time when supply and demand conditions in the major international markets is changing rapidly. 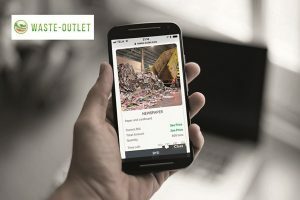 This new trading platform, www.waste-outlet.com, is streamlining the waste trading for municipalities, carriers, and businesses alike who want to buy or sell waste, making it easier for companies to find each other. 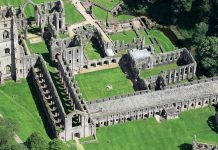 At the same time, creating open access to a larger network, ensuring the competition for the waste volumes. The goal of this web platform is to create more transparency in the market. Users will be able to find partners with the right match in skills within waste management, even across national borders. This makes it easier than ever to divert waste from landfills or incineration plants to recycling companies who are ready to recycle it or use it in new products. According to the team behind the platform, this type of online resource exchange is exactly what the waste industry needs to support increased circular economy in the future. On the platform, users can buy and sell waste and recyclables through a bidding process where the seller both defines what is being offered and also decides which bidder to trade with. The focus is on establishing trustworthy relationships between the users. This means that all users must go through a verification process at signup, before being able to trade on the platform. With this service, there will be major savings in time, as waste sellers will no longer need to contact various potential buyers multiple times by phone or e-mail to obtain dynamic offers. At the same time, all companies registering on the website are invited to fill out a CSR form. In this way, users can find trading partners based on both economic, working environment and sustainability interests that match. 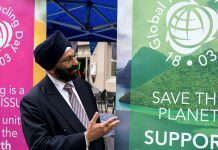 The platform is being launched at a perfect time, as the EU is placing more demands for increased recycling and China per January 2018 imposed stricter quality requirements of the import of a total of 24 different types of waste, including plastic and paper fibers. As late as 2016, they imported as much as 51 per cent of the world’s plastic waste, and the markets are affected significantly and new partnerships have to be established.